It's been around 11 years after the launch of Windows XP in October 2001. Still, then most of the computer users are using it and don't want to shift to the latest Windows 7 OS. There are many reasons for that like, new operating system Windows 7 need some more powerful hardware configuration. Also the compatibility of the software many peoples using may not run on the new version Windows. Sometimes this happens. You have a software that is very important to you and don't have an updated copy of it to run in newly launched Windows 7 version. When you try to install or launch the old software, the Windows 7 may give you an error like "'This program must be run on Windows 98/ME/NT/2000/XP". What to do now? Here are 2 simple solutions. There are two ways to do it. Either you can enable compatibility at particular software level or at OS level. To enable compatibility mode at OS level GO TO Control Panel >> Troubleshooting >> Programs >> click Run programs made for previous versions of Windows. This will enable compatibility mode for all the software. 1. 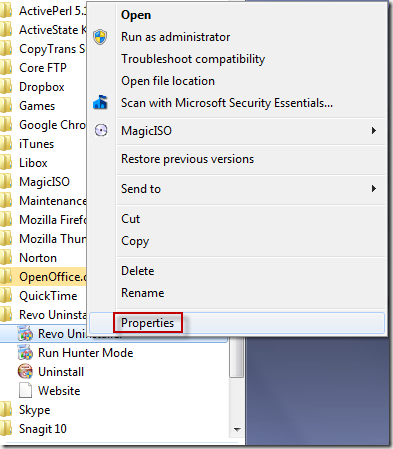 Right-click the program and choose Properties to open up another menu where you will select the Compatibility tab. 2. 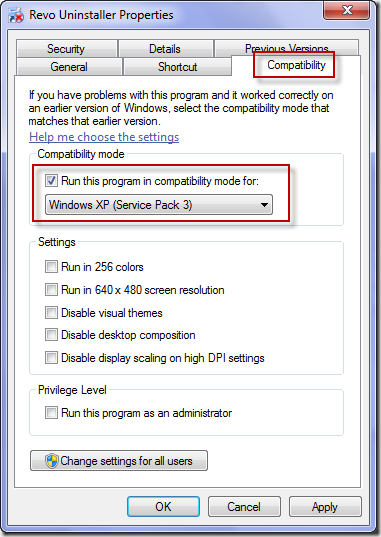 Within the Compatibility tab, check the box beside Run this program in compatibility mode for:. 3. From the drop-down list, choose the version of Windows that your program worked best on. Click Apply and the settings will be saved for the next time that you run the program. Most of the cases can be solved in this way but if sometimes the compatibility mode may not work for some software. So the other way is to run complete Windows XP operating system inside Windows 7. Don't worry, that's pretty simple. This is a more simple option but requires little more hardware configuration like more RAM and CPU power. 1. 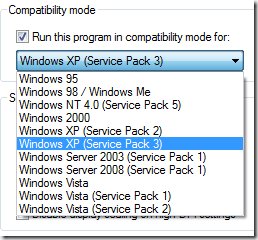 Download and Install Windows XP Mode layer from Microsoft here. It's around 500 MB file. 2. Once completed installation, you will find a Windows XP installed like software on Windows 7 OS. You just have to select Windows XP mode under virtual PC from the start menu and you are ready to use it just like your previous Operating system. Now install the old software inside Window XP and run it the old way. What error you are getting. Which OS you are using?